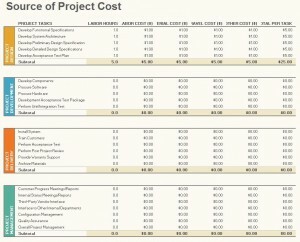 Microsoft’s Project Budget Management Template is an easy-to-use template that can help plan any project step-by-step and dollar-by-dollar. 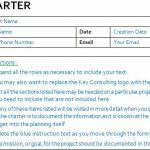 Using the template is easier than the user formatting his or her own template and can save valuable time with a quick download. The template is available on this page and is free. The template is customizable to the user’s needs and preferences with minimal formatting. The template is arranged with different parts of the project in different sections and with each horizontal section organized into columns, each column available to plan the costs and measurements of the costs. Organize your project into different compartmentalized costs on the template, using the columns for the hours, or other measurements necessary, which can be used to calculate total costs for the chosen horizontal segment. 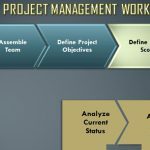 Labor hours and costs, material costs, and travel costs are the options available on the downloadable version of the project budget management template. Multiple horizontal segments are provided and more can be made available through minor edits and additions. Take time to consider different categories of the project’s timeline and different steps in each category in order to thoroughly plan the project and avoid overlooking costs. 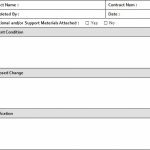 Using copy and paste on the different horizontal segments is the easiest way to add additional segments below or above what is already available on the downloadable version of the project budget management template. Placing the segment at the top will move the original segments downward while placing them at the bottom only expands what is already there. Using copy and paste in the same manner can also add additional columns to the horizontal segments. Although editing may be necessary to fit all of the columns on the page to make them all viewable and printable. Using the ‘add a column’ option is a much easier method of adding columns one at a time. By clicking the lines between the columns or lines the individual boxes, columns, or lines can be expanded to be longer or taller to better fit the text inside. Check this out while you wait! © 2019 TemplateHaven.com. All Rights Reserved.